Netzsch Pumps & Systems Technologies India Private Limited is a leading Manufacturer, Supplier and Trader of Progressing Cavity Pumps, Industrial Rotary Lobe Pumps, Macerators and Grinders in India. The company started its operation in 1994 as a wholly owned subsidiary of Netzsch Pumps & Systems Group, Bavarian town of Selb, Germany. 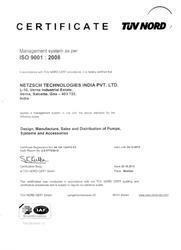 In 2005 the Netzsch Pumps & Systems group founded its Indian subsidiary, opened an assembly plant at Chennai for Progressing Cavity pumps which operated for 4 years. Increasing demand soon offered the opportunity for further expansion in India. In 2009 the company bought the site in the vicinity of Goa in which the new production plant is being commissioned. we opened our Manufacturing facility in the Verna Industrial Estate in Goa, India on the 21st Oct 2011. This demand serves a path to the major investment of Netzsch Pumps & Systems in India to make our technologies locally available and participate in the growth of the country’s economy. The company in India now enjoys a market share of about 25% with a compounded annual growth rate of 32% since its foundation. The company employs 85 people on an all India basis and is located with Sales and Service centers across 8 cities in India. 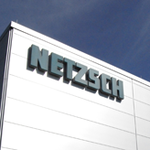 The NETZSCH Group is a globally active family-owned enterprise headquartered in the Bavarian town of Selb, Germany. It has three business units Analyzing & Testing, Grinding & Dispersing and Pumps & Systems which provide tailored solutions for highest-level needs. Over 3000 employees at 150 sales and production centers in 30 countries across the globe, guarantee that expert service is never far from our customers. The NETZSCH Group had a turnover of approximately Rs. 3850 Cr on a worldwide basis and its business unit pumps and systems contributes more than 50% of this turnover. 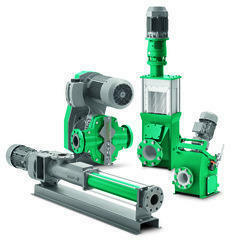 NETZSCH now is the only company with five manufacturing sites across the globe for its pumps and offers Progressing Cavity, Rotary Lobe and Multi Screw pumping techniques with excellent benefits of high energy efficiency and reduced life cycle costs which are the critical drivers for pump industry. We ceaselessly focus towards the continuous improvement of our range maintaining quality standards in production as well as our ethical business practices. We comply with the recognized worldwide standards in quality certification and process control. In fact, our key functional areas of design, development, production, sales and service meet the ISO 9001 International Quality Guidelines. Our team of efficient quality controllers undertakes stringent quality checks so as to ensure the quality and flawlessness all throughout the production process. NETZSCH Pumps & Systems produces Progressing Cavity Pumps, Rotary Lobe Pumps, Grinders, Dosing Systems and tailor made Barrel Emptying units. The world-class industrial pumps are high in demand in market and are fabricated using premium grades of raw material such as Stainless Steel, and Elastomers. NETZSCH Pumps and Systems products are used in highly specialized applications to convey, dose and feed complex fluids in Chemical and Petrochemical, Paper & Pulp, Food Process, Beverages, Sugar, Oil & Gas, Bio gas, Waste Water, Metal & Mining and Pharmaceutical Industries, to name a few.